[toc]The tingling, numbness and weakness in the legs coupled with low back pain and some other specific symptoms are classical symptoms of sciatica. Compression of various nerve roots in the lower back due to compressed or protruding disk in the spine is the main cause behind sciatica. But whatever be the cause sciatica is a painful condition that refuses to go away easily. There are many different treatments for sciatica including surgery, medication and steroid injections. However, none of these are permanent solutions, and there may be recurrence of sciatica. Moreover, the steroids can give rise to further complications on regular application. On the other hand herbs can play a key role in alleviating the symptoms of sciatica. 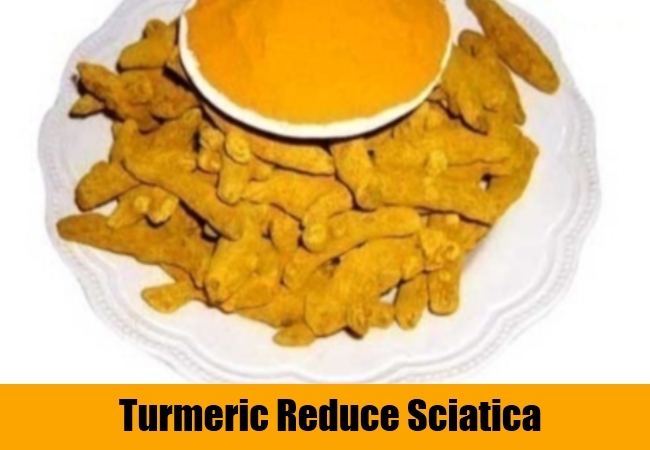 There are some herbs that can control the symptoms of sciatica quite effectively. Let us explore some of these herbs. Kava kava has been used for centuries as muscle relaxants. The root of kava kava is known to cause relaxation in muscles and relieve stress. The herb is a member of the pepper family and its roots have a sedative effect on the nervous system. It contains a group of chemical known as kavalactones which are restorative of health, analgesic, antispasmodic and sedative. 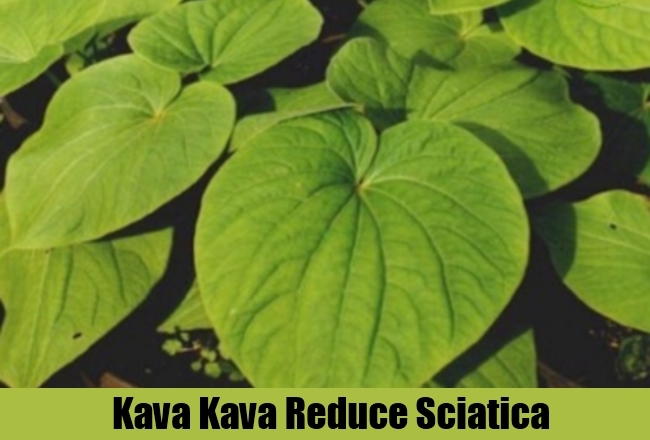 So take kava kava root extract to alleviate symptoms of sciatica. The roots of sciatic nerves are compressed and that is causing them to be irritated. This is leading to inflammation. If the inflammation can be brought down the irritation can be brought down too. This may reduce the pain symptoms. Anti-inflammatory herbs are quite efficient in this respect. Turmeric is an excellent anti-inflammatory household spice that has been used to this effect for centuries. Apply a paste of turmeric powder on the low back area where the disk bulge or protrusion has occurred. You can also take turmeric with food. With regular use the pain will come down. This herb is anti-inflammatory in nature and contains a lot of calcium. The anti-inflammatory property is helpful in reducing inflammation and therefore alleviate pain. Calcium supports the skeletal structure and helps in repairing bone insufficiencies. 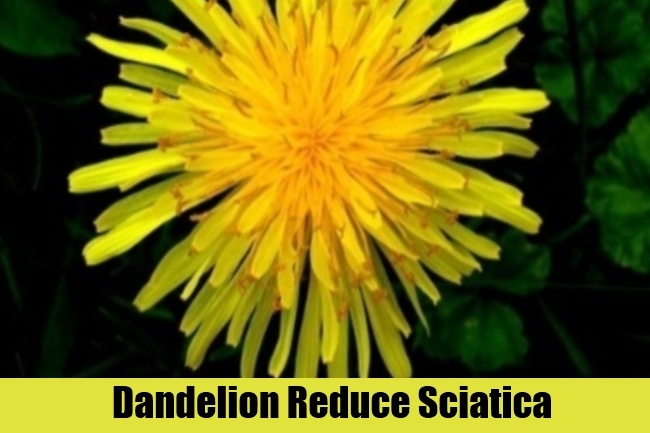 So dandelion can be of real help in alleviating the symptoms of sciatica. Secondary roots of this bitter tasting herb have been used to treat musculoskeletal problems for centuries. The herb is anti-inflammatory, anti-arthritic and analgesic in nature. 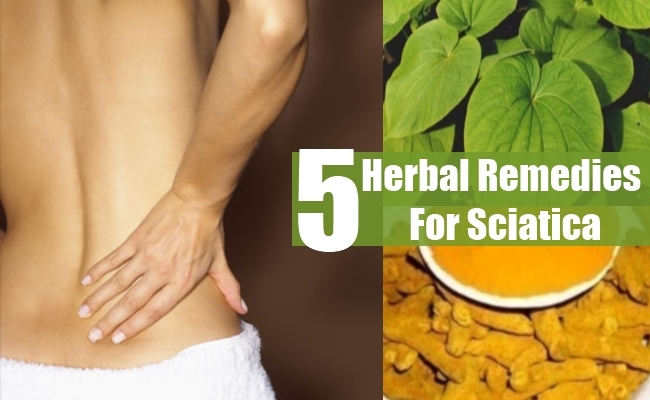 It has been seen that this herb is quite useful in treating sciatica pain. You can apply ointments made with the secondary roots of this herb on the affected areas. With regular use the pain will come down. This is one of the most popularized herbs thanks to homeopathy. It is anti-inflammatory, analgesic and counter-irritant in nature. All these properties are useful in treating sciatica. It is used extensively to treat muscle sprain, strain, bruises and sores. The underground stem of this herb is generally used for this purpose. You can use this herb for treating your sciatica symptoms. 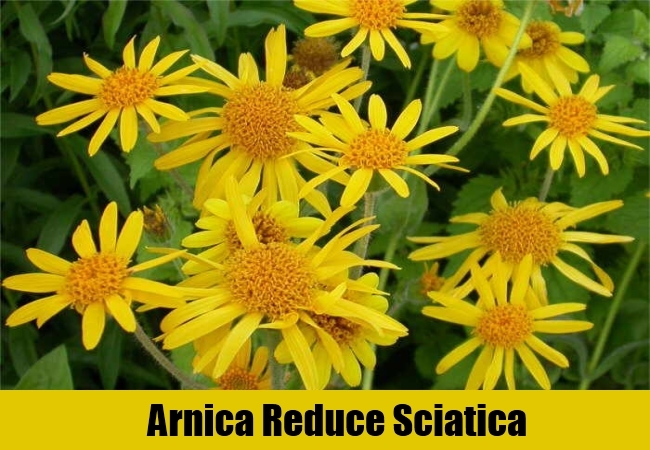 You can get arnica extracts in homeopathy stores. With regular use of this herb the pain and other symptoms will come down.